Just imagine how wonderful it would be to have your protestant ceremony in Venice, in the most romantic and famous city of the world. An unforgettable memory of your very special and unique day, in the beautiful historical Venice, with its little canals, the splendid venetian style palaces with their antique decors and the amazing view over the Grand Canal. Your protestant ceremony can be held in Saint George's Anglican church, an antique Patrician palace, restored and readapted for this use. 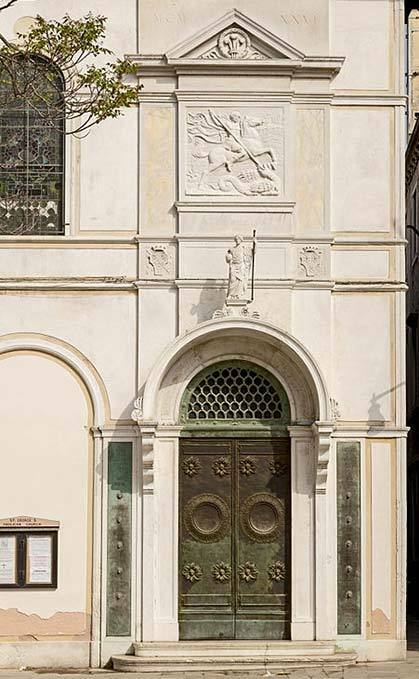 The entrance of the church, has a simple double wooden door and a semicircle cover in stone of Istria, on the top and a bas-relief representing Saint George killing the dragon with 2 bronze lateral panels. You will be able to choose floral decorations for the church and the music performance for the ceremony. 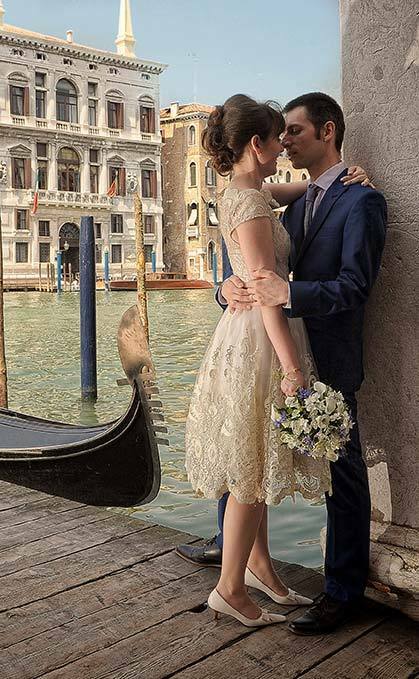 After the ceremony you will enjoy a photo session around Venice with the most spectacular settings and little corners of the historical part of the town. 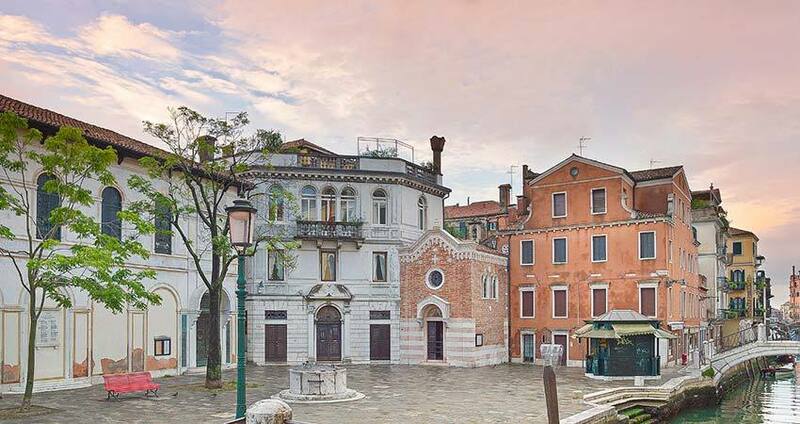 If you prefer, you can also choose to have the ceremony in a beautiful palace with rich interiors, in one of Venice’s luxury hotels or in a hidden garden with incredible views.